I've got one more card on the Poppystamps blog for the new release Blog Blitz! 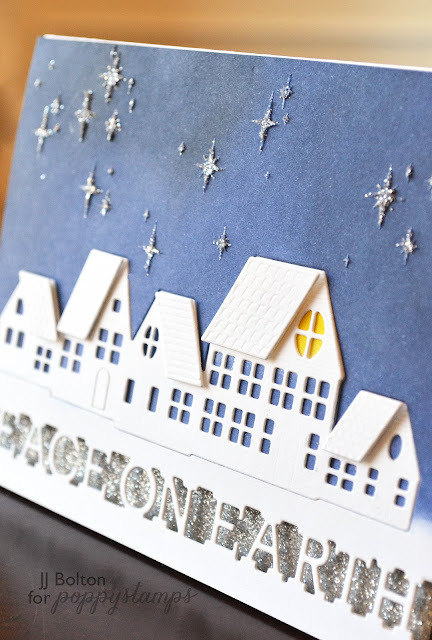 This time I'm using the Peace on Earth Channel die and some adorable little houses! P.S. 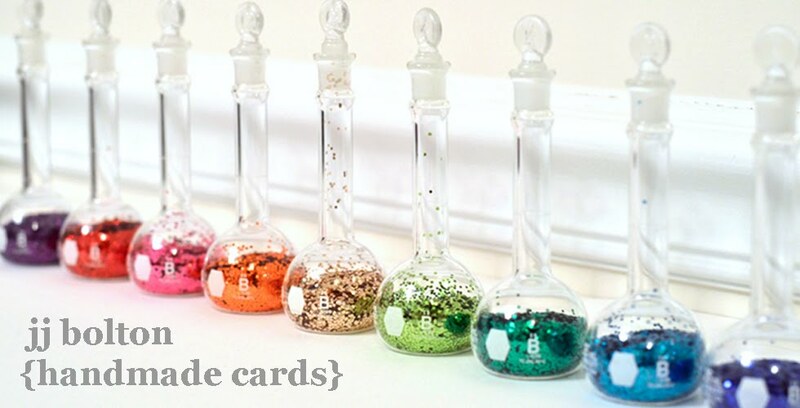 Did you know that during the Poppystamps Blog Blitz, there is a giveaway for each post? Just leave a comment on the separate blog posts for a chance to win! Could not be easier! Really gorgeous card, JJ! Your sky background is so pretty and I love all the sparkly stars! That is gorgeous, the perfect Christmas card. Love the gorgeous sparkly background & the new channel die is a must have!! Beautiful card! I love all the different elements that make up this card from the sparkly stars, the village silhouette, and the sentiment. JJ, your cards have such a refreshing beauty about them. This one is lovely.